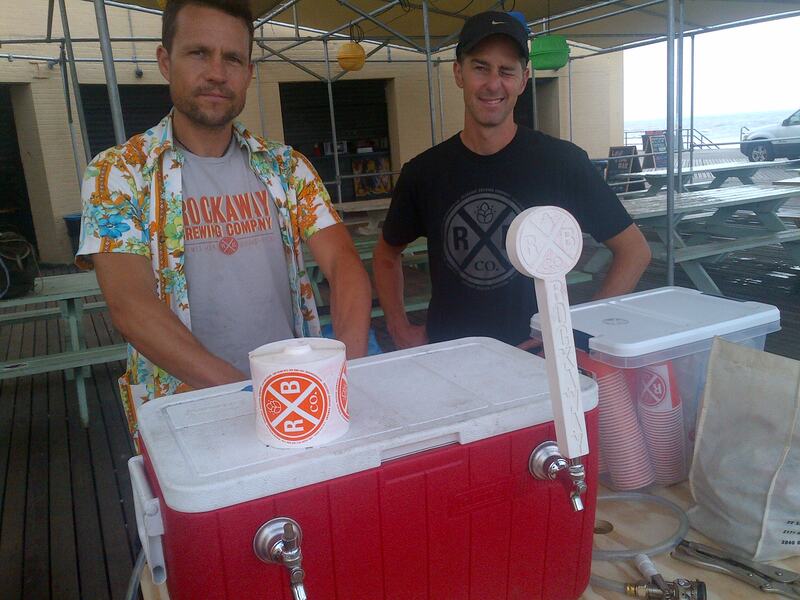 Co-owners (and brewers) Marcus Burnett and Ethan Long during happier times in Rockaway – i.e. pre-Sandy. If you are interested in local brewers, then you have double the love next week with Rockaway Brewing Company. On Monday, brewer and co-owner Marcus Burnett will be in the house for our Nano-beer Vegetarian Nonsense™ Dinner (only a few tickets remain, so get yours here). Then on Wednesday we’ll have a special Rockaway Brewing night with the launch of their new beer, Hi-Plains Drifter Scottish Ale! Marcus was nice enough to check in by phone this week to preview NYC Beer Week and what he’ll be bringing to Monday’s beer dinner (hit: it’s hoppy, and you can’t find it anywhere else!). The first beer I really enjoyed as and English Bitter Ale I tried in Surrey, England, when I was staying with my uncle when I was 14. It was the classic English countryside with sheep farms and rolling hills. When Ethan (Long, co-owner) and I realized we’d rather drink our own beers rather than any other beer, that’s when we decided to open a brewery. The first eight months we only brewed that one beer, our ESB. Now we officially have three beers—ESB, Porter, Stout—with two more premiering at Jimmy’s No. 43 next week (Scottish Ale and IPA). How did you and Ethan decide to launch a brewery together? We had similar professions, so we knew each other. 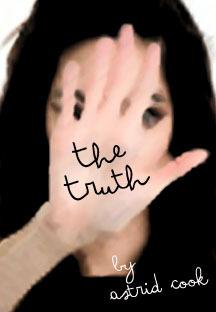 I was doing cinematography/photography while Ethan was a set designer. We also had bungalows nearby each other out on Far Rockaway. [Editor’s Note: Neither brewer’s home was destroyed during Sandy.] We started brewing together and, eventually, opening the brewery together. We only do kegs. I don’t have the patience to do individual bottles, and we don’t have the money to get a canning or bottling line. Besides, I enjoy beer on draft more than from a bottle. If I had four taps of Founder’s, I’d probably be okay for awhile. They’re making really solid and palatable beers. Our biggest challenge is expanding at the right pace, keeping up production with demand. Sometimes we have plenty of beer on hand; sometimes we don’t have any. We’re pretty much at capacity now, so we need to consider what we do next. Also, we want to come up with enough styles to satisfy our clients. Lots of craft beer bars always want the next new thing. That’s something we love about Jimmy’s No. 43. It’s more about consistent quality than just having something new to offer. What else do you want us to know about Rockaway Brewing Company? Our company really represents the hope for the American Dream. As homebrewers, we really didn’t have any money. Everybody said, “You can’t do a brewery with a two-barrel system.” I thought, “You can’t tell me what to do.” In some ways, of course, they were right, but we’re not trying to be something we’re not. We love what we do and the beer we’re making at our current rate of production. Tags: Jimmy's No. 43, NYC Beer Week, postaday, Rockaway Brewing Co.. Bookmark the permalink.